It’s been around four months since I started writing my own blog. It’s such a beautiful experience to share my ideas and stories with all my readers. And YAY!!! I received my second award. I am so very excited to receive “Bloggers Recognition Award” from the very sweet and kind Mary Osadolor. Thank you so much Mary, for this surprising award. Check out her amazing blog featuring fashion, inspirational, relationship, and parenting articles at https://maryo-signature.com/. From a very young age I got into the habit of writing. I made up my stories, poems, and noted it in my journal. Gradually as time passed, the habit turned to a hobby. I always penned down my thoughts feelings, any ideas, my happy and sad moments, almost everything into my journal. There are times when we can’t express and share our opinions & feelings to anyone, not even to our closest family or friend. During that time, writing has helped me to ease my stress and control my anger. One night, as usual after finishing my routine chores I was writing in my journal. A thought just struck my head that there’ll be many women around the world just like me, who wouldn’t be able to express themselves. Despite of living in a huge family or having many friends, they would be feeling lonely when they needed someone, just someone who would lend an ear to her. One who would listen to her with all their heart, one who would support her, and give her strength and courage to fulfill her dreams. One who would inspire her and advise her whenever needed. One who would be a ‘Real Friend’ in need. This gave me the idea to do something for them. I knew I couldn’t meet them personally. So I started my blog http://girlsglamour.in/ with the help and love of my husband. His endless support and encouragement has helped me fulfill my dream.  Girls Glamour is an open platform for all women who need a little inspiration and motivation to fulfill their dreams. It’s a place where they can share their own knowledge, ideas, and stories. It’s a place for us to connect. We want them to learn and grow. Make time for your blog: Blogging, whether it’s a hobby or a full-time job, you need to give your time. Make it your priority and use your time wisely. I am sure everyone has some time of their day which could be used to work on their blogs. Know your readers: Knowing your readers helps you create your niche or your blog contents. You could ask your readers through a quick survey about your next blog post and then write it down. One other way is to focus on the articles which are helpful in some way to the readers and which inspires and motivates them. Be active on any social media: Engage with your readers and fellow bloggers through social media. Connect with other bloggers group that can help you get some traffic to your blog. These groups are good at problem solving and they do like to read other blogs. But remember to be generous and show some courtesy towards them. Liking, sharing or retweeting other bloggers post wouldn’t harm your blog in any way. Keep yourself motivated: Everything takes its own time to build. So be patient. Don’t get frustrated if you don’t see many subscribers/ followers or clicks on your blogs. Keep yourself motivated by reading other bloggers post and ideas on how to grow your blog. When you put your efforts and hard work, then surely you may get good results. Never lose hope when your results are fewer. Instead keep trying and follow your dreams. Congratulations to all the wonderful women. You all are doing an awesome job and keep sharing your superb blog posts. I hope you’ll all continue this cycle by participating and recognizing some great bloggers. If you wish to accept your nomination, you must follow some easy rules:. Thank the blogger who nominated you and give the link to their blog. Give 3 or more advice to new bloggers. Select at least ten other bloggers you think should be nominated for this award. Notify those whom you have nominated by providing the link to your blog post where they can check out their nominations. Thanks to all my lovely readers for appreciating and reading my blog posts. Please don’t forget to like, share and comment. Hope you all have a lovely day filled with laughter & cheer. Next articleStop Moisture & Make your walls Alive!